Curious about what’s going on in the Ottawa Real Estate Market? Below are some highlights of our April 2017 market. Curious about a certain area? Please contact us and/or one of our Sales Representatives for details, we have up to date statistics on all Ottawa neighbourhoods and the surrounding areas. 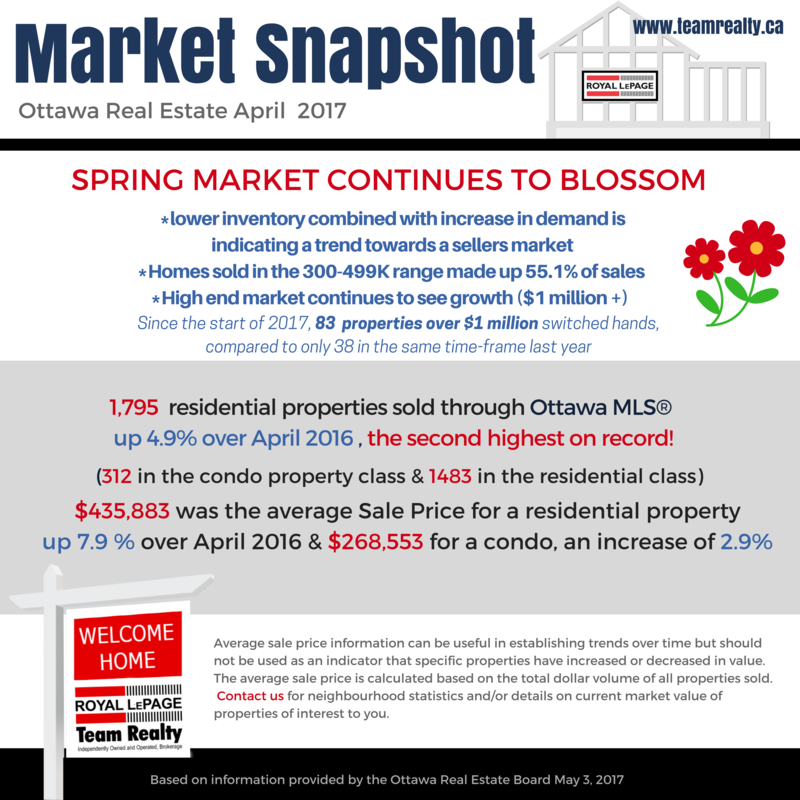 Spring Market Continues to Blossom! April’s sales included 312 in the condominium property class, and 1,483 in the residential property class. The condominium property class includes any property, regardless of style (i.e. detached, semi-detached, apartment, townhouse, etc. ), which is registered as a condominium, as well as properties which are co-operatives, life leases, and timeshares. The residential property class includes all other residential properties. The average sale price of a residential-class property sold in April in the Ottawa area was $435,883, an increase of 7.9 per cent over April 2016. 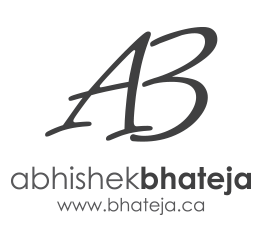 The average sale price for a condominium-class property was $268,553, an increase of 2.9 per cent over April 2016. The Board cautions that the average sale price can be useful in establishing trends over time but should not be used as an indicator that specific properties have increased or decreased in value. The calculation of the average sale price is based on the total dollar volume of all properties sold. Price and conditions will vary from neighbourhood to neighbourhood. The post Latest Real Estate Market Snapshot: April 2017 appeared first on Team Realty.